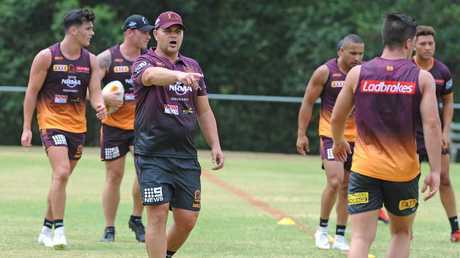 COREY Oates says Anthony Seibold will take Brisbane's stars to another level, claiming playing positions are on the line as the new Broncos coach seeks to instil a harder edge at Red Hill. 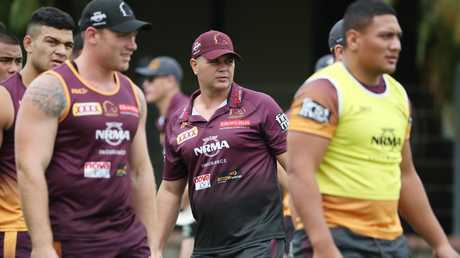 Just 24 hours after inking a new one-year deal with the Broncos, Oates revealed Seibold has delivered a no-nonsense appraisal of Brisbane's shortcomings in their failed title campaign last season. Seibold had an instant impact at Souths, presiding over a dramatic resurgence that saw the Rabbitohs go from 12th place last year to the top four this year with essentially the same roster. 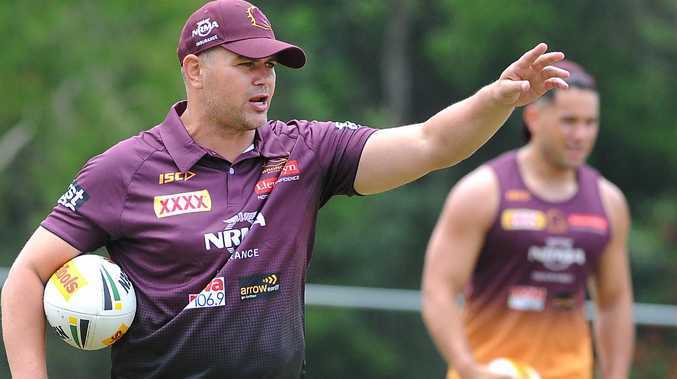 Now Oates believes Seibold can bring a sharper dimension to the Broncos as the NRL's reigning coach of the year looks to break Brisbane's 13-year premiership hoodoo. "We are just not turning up sometimes," said Oates, whose future at the Broncos is secure for another 12 months. "'Seibs' has already notified us where he thinks we need to fix our attack and defence and we'll be working on that. "Every coach wants to win and go all the way but the things that Seibs is going to work on are the things that I believe are the reason why we didn't go all the way last season. "He has said that we did a fair bit right (last season), but the little areas we got wrong really killed us." Brisbane's sloppy defence cost them any hope of mounting a legitimate title challenge last season. They entered the playoffs with the worst defence of the top eight teams, conceding a whopping 500 points in the regular season, which preceded a dreadful 48-18 mauling in their finals debacle against the Dragons. 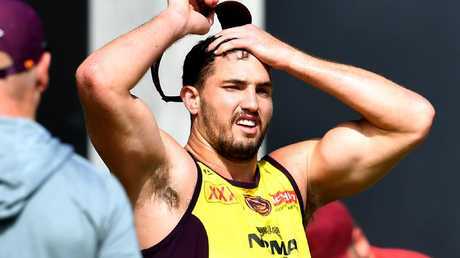 Oates watched Seibold extract the best of Souths stars Cody Walker, Adam Reynolds and Damien Cook last season and says the 44-year-old will hold Brisbane players accountable. "Seibs will be good for a lot of our younger players," he said. "He won't put too much pressure on them, but he will say show me you want it. "That is one of the toughest challenges - as a coach, you have to put it (responsibility) back on the player and say if you want that spot, you have to earn it. "I don't know if it's mental toughness with us ... (but) there were a couple of games where we really weren't the team that we should have been that day. "I'm excited about Anthony's arrival. Don't get me wrong, Wayne (Bennett) was a great coach and awesome to have for four years, but change is always good. "I thought he did a really good job at Souths, and with a few players like (Walker) who had great years and played to their strengths. "Seibold is not going to change everything we do but the little things he will change with a few players will benefit them a lot." After being appointed Bennett's successor last month, Seibold said he is not afraid to demand excellence from his players. "I challenged the norm at the Bunnies this year," he said. "I have a certain way of doing things which is potentially different to some other coaches but I know what works for me. "I like to build pressure with effort. I am very big on effort-based areas of the game."